CDC provides mental health and substance use disorder assessment and treatment to children, families and adults in Butler and Clermont Counties. 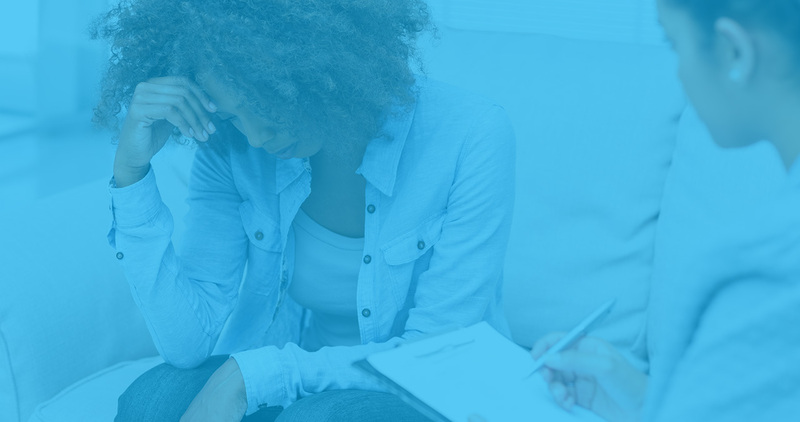 This includes individual, group, couples and family counseling, psychological testing, psychiatric medication management, MAT, substance use intensive outpatient services, case management and therapeutic visitation services. The goal of our programs is to provide high quality, trauma informed assessment and treatment services for mental health and addiction issues. CDC Behavioral Health Services provides therapeutic visitation for Butler County Children’s Services (BCCS) at the Family Healing Center. Programming is provided to families involved with BCCS who have been ordered to have supervised parent-child visitation. Cognitive Behavioral Treatment, an evidence-based trauma model of care, addresses family issues such as mental health, substance use, or domestic violence that can impact adequate parenting and reunification of the family. The program’s primary goal is to help families reunify and establish a healthy and functional family unit. Staff works closely with BCCS and other community providers that are serving these family members. The Family Healing Center of Clermont County provides court-ordered therapeutic visitation and treatment services to Clermont County families involved with Children Protective Services (CPS). This program, begun in November 2018, replaced the observation services previously provided by CPS. The program’s primary goal is to help families reunify and establish a healthy and functional family unit. Staff works closely with Clermont County CPS and other community providers that are serving these family members. Intake: When a referral is received from CPS, an assessment is scheduled as soon as possible, depending on the schedule of the caregiver, biological parents and child(ren). Visits can often start as soon as the assessment is completed. Therapeutic Visitation: Observing and using those observations to understand the family dynamics, how the child(ren) interacts within the family unit, and how the parent(s) interact with their child(ren). This allows the clinicians to provide appropriate and individualized interventions to help the parents and children develop positive family interactions. Trauma-based Psychotherapy: Individual and family therapy assists children and families in healing the damage from their respective trauma. CDC staff provides assessments for substance use and/or abuse and mental health issues for families involved with Butler County Children’s Services (BCCS). The goal is to quickly identify issues that may be impeding adequate parenting. SAMI assessors are located within the BCCS facilities to assure that assessors can work in close collaboration with BCCS caseworkers. Assessors identify issues related to substance use and mental health and locate appropriate community resources. Referrals are tracked to assure that individuals and families are connected to services, are benefitting from those services and are making the needed changes in their life to be better parents for their children. ESI Flyer 6-27-18 (002) to learn more about CDC-SAMI Employment Services Program. CDC-SAMI -Employment Services is a relatively new program that works in partnership with Butler County- Ohio Means Jobs (BC-OMJ) and a consortium of community providers. Employment Services assessors provide SAMI Assessments and connection to needed services for persons referred to OMJ for vocational assistance. The overall goal of the program is to assist individuals to begin employment for the first time or return to the dignity of work.